... guarantees cooking at a precisely controlled temperature while preserving the quality of the product, enhancing flavor and texture? … allows cooking food in their own juice and using this juice immediately after cooking to enhance flavors? ... marinate and macerates an ingredient in half the time? ... infuses and flavors oil, fat or other products applying the controlled temperature technique? ... increases profits due to lack of product shrink? … requires very little hands-on time, allowing you to do other tasks while the product is being cooked? ... allows for an effective HACCP control? ... you can take with you wherever you go? Max. capacity: 56 lt. / 14 gal. User friendly, portable, commercial device. Front panel and handle of polyamide reinforced with fiberglass. Max. capacity: 28 lt. / 7 gal. SmartVide immersion circulators are equipped with a highly precise temperature control system to obtain extremely consistent results. An optional core probe (SmartVide8 / 8 Plus) allows getting an even more precise control. Just program temperature and time, SmartVide will do the rest. 4 buttons and a full-color TFT display that offers all the information at a glance makes operation a child’s play. 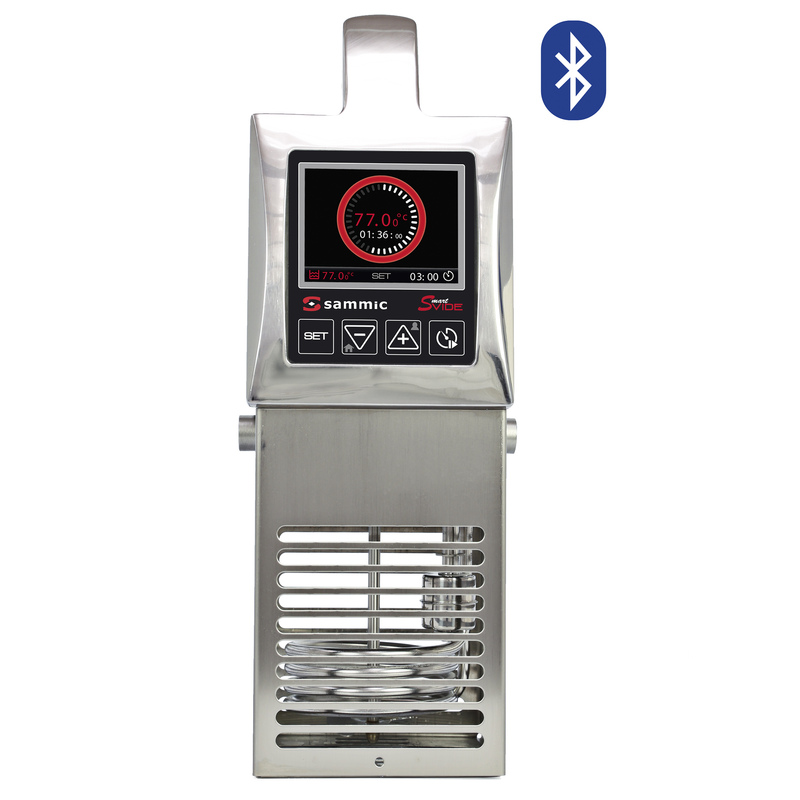 Moreover, SmartVide8 Plus, thanks to Bluetooth connectivity, allows for an interchange of important data to improve the chef’s performance. SmartVide cookers can be used in up to 56 lt. containers. Their thick stainless steel (or fiberglass-reinforced polyamid, in some models), robust construction makes them ideal for commercial use. Thanks to Bluetooth connectivity, SmartVide8 Plus makes HACCP control extremely easy, allowing to export or print cooking results at the end of each cycle. 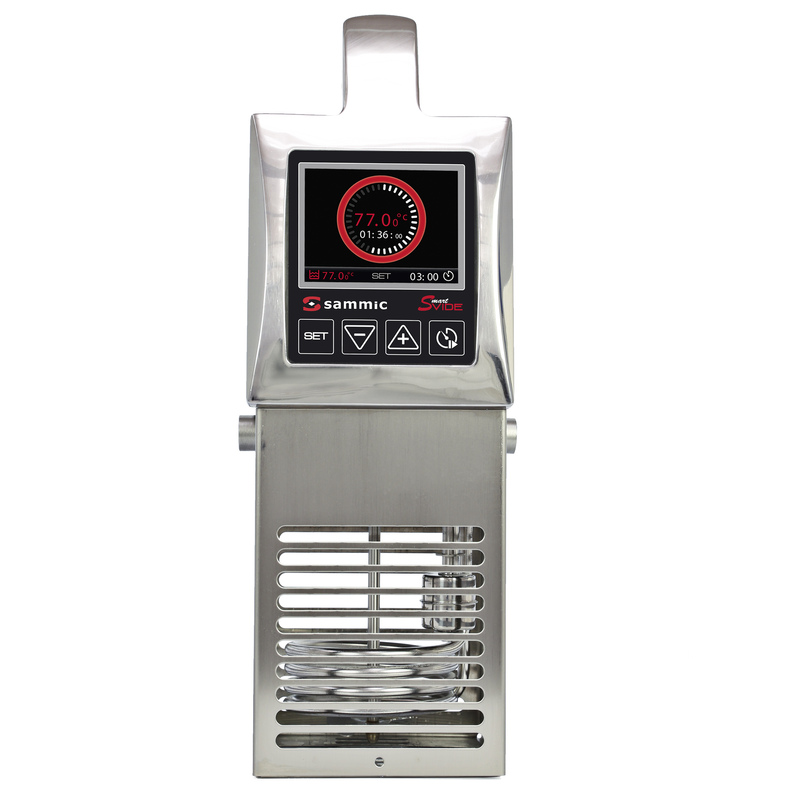 All devices are tested one by one before sale, guaranteeing the best performance in a commercial kitchen. Sammic’s R+D+I team has been collaborating closely with our corporate chef Enrique Fleischmann and Fleischmann’s Cooking Group in order to develop the device that best meets their needs. 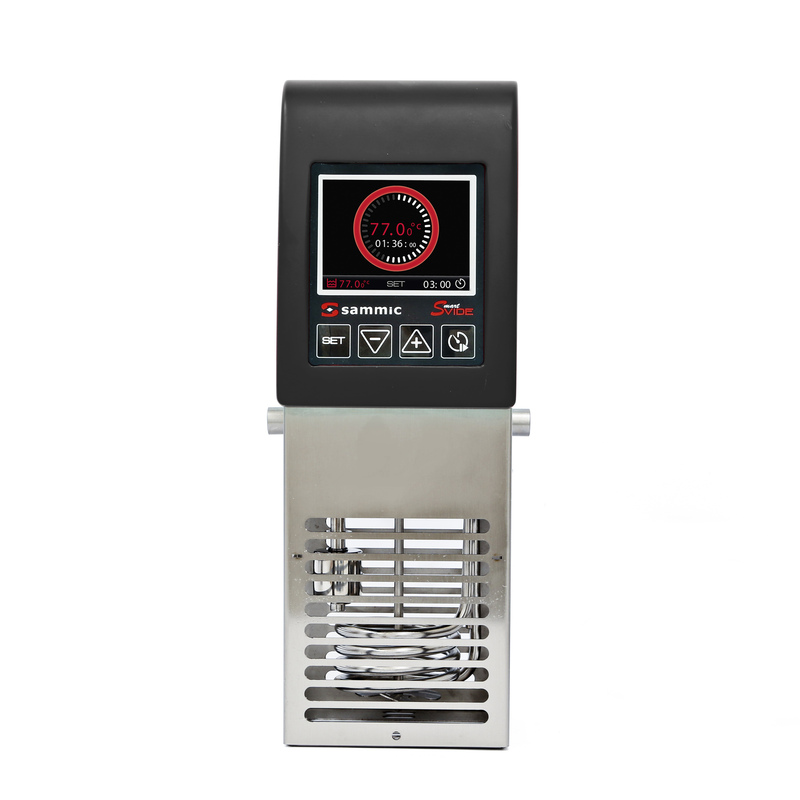 In addition, all SmartVide models have been tested by chefs all over the world before launching. Thanks to their thick, stainless steel (or polyamid), ergonomic handle, SmartVide can be taken from a container to another one easily. Additionally, the transport bag allows easy transport – wherever you go. 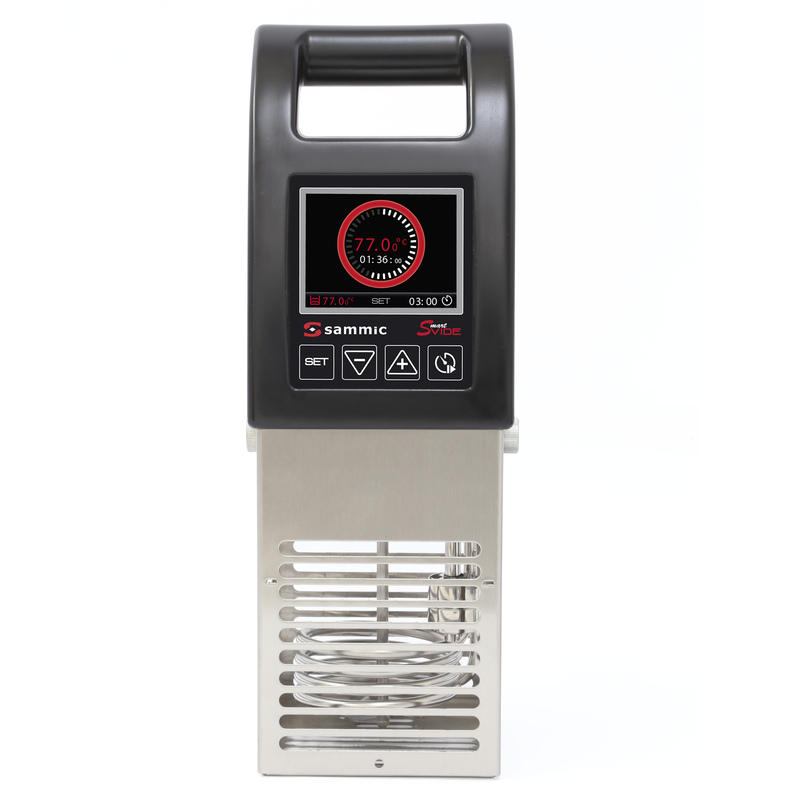 Sammic manufactures vacuum packing machines since 1990, thus now offers a complete solution for sous-vide cooking. Furthermore, Sammic has developed a website fully dedicated to sous-vide cooking with comprehensive information on the technique, recipes, news, FAQ’s and much more. And, never two without three, Sammic offers information and training thanks to “Chef’s Services”. 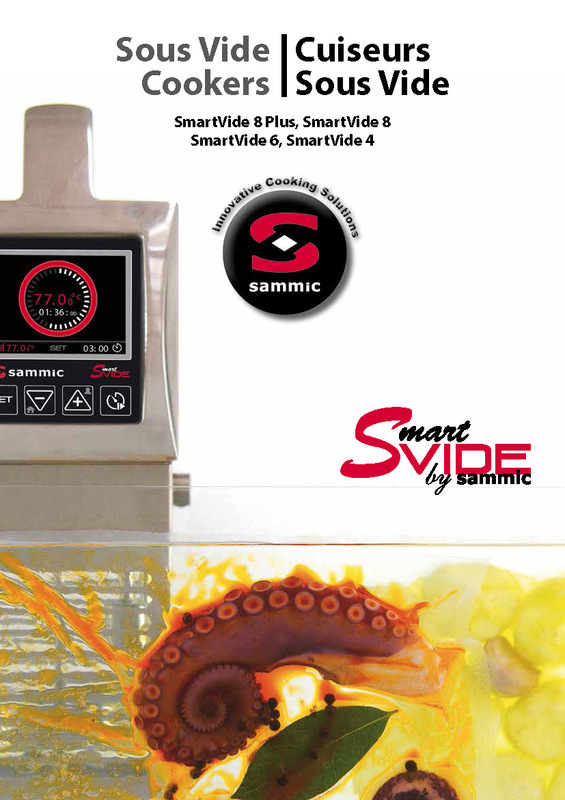 SmartVide is manufactured by Sammic at own factory in Azkoitia (Spain), in the heart of the Basque culinary pole.